"LOVE DOES NOT GET LOST ON ITS WAYHOME." I have photos of most headstones in the Mt. Moriah burial area! My father's family -- the WILSONS are from Bunceton, a small town in Cooper County, Missouri. When I began my family history research in January 1999, I found very little detailed information about African Americans in Missouri. For example, most of the Missouri GenWeb county sites did not include historical information about African American people. That has changed now. You will now notice that sites like Boone, Morgan, Cooper and Howard have updated their sites...and linked my pages for additional information. So now we have Progress, Progress, and more Progress! !Since then, I have learned that my ancestors were owned by a families named, TUTT, CHISM, ROSS, CHILTON, STEPHENS, McCLANAHAN and others.The impact of slavery and the growth of African American communities in the aftermath of the Civil War, Emancipation, and the Antebellum period was of great interest to me, but it had been seriously overlooked. However, I know that along with thousands of other African Americans who have roots in Missouri, detailed information about these community histories would help us understand when, why, and how our ancestors survived slavery along the Missouri River in counties such as Buchanan, Jackson, Lafayette, Saline, Callaway, Chariton, Cooper, Howard, Boone, Pike, Marion, St. Louis and many other counties of Missouri. The Missouri River counties historically had the highest concentrations of African Americans. Well My Trip to Missouri 2000 story is long overdue. It's already 2001 -- so I have some work to do. In the meantime -- here are some very old sketches of some of my ancestors. I was blessed and touched to receive an excellent creative writing by my cousin Kamara Jones entitled the Color of Emancipation! I believe these members are my Pamunkey Indian relatives from Farquier County, Virginia. The back of the sketchings notes "1787" -- I have no information on the artists etc., of if the date I am reading is correct. If you have any information on these sketches please let me know! Want a listing of books to read? Remember -- Missouri was once a SLAVE state. This web site will grow to be a repository of as many resources as possible -- but I can't do it without you. If you have information about ancestors that would help illustrate the lives of pre-1900 African American Missourians, please share. Photos, documents and genealogical resources such as compilations of vital records -- marriage, death and birth information are particularly helpful. Since many African Americans were brought to Missouri from Kentucky, Virginia and North Carolina oftentimes -- there are additional pertinent resources we should note. If you come across any original slave bills of sale, probate and land ownership records you can post them below! Mr. Bunce named Violet Glasgow (see below). 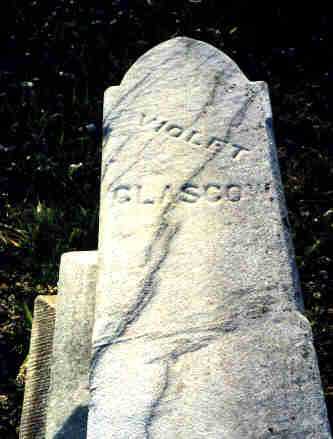 Violet and Layton Glasgow were slaves for the family of Harvey Bunce, founder of Bunceton,MO. Actually the slaves came from the family of Bunce's wife, Mary Ann Moore. 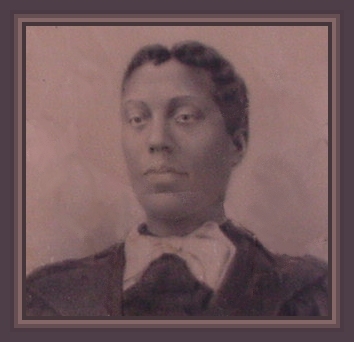 Violet had a sister named Julia Gillium -- who also served the Bunce family for many years. The great granddaughters of Harvery Bunce now reside in California. I recently traveled to Bunceton in Cooper County, Missouri to visit Ravenswood, the infamous shorthorn cattle farm where my ancestors were enslaved. 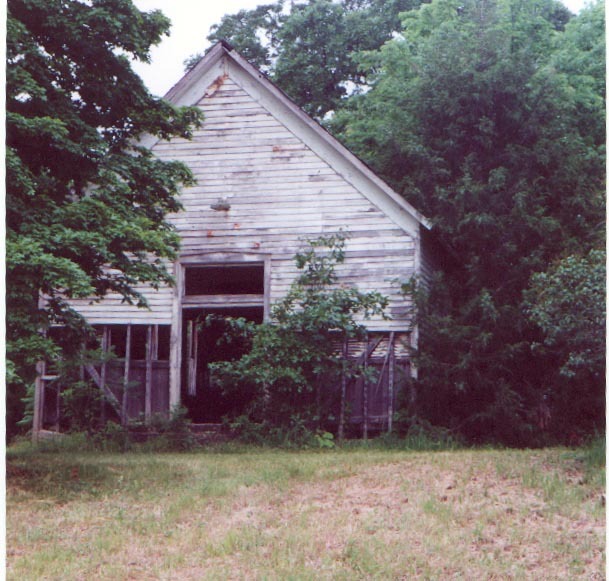 It was built by slaves and owned by Nathaniel Leonard. Checkout "My Trip to Missouri." Genealogists may use the information provided here freely. This page, and the information it provides may not be copied for commercial use of any kind. You are the 26331st visitor to our site since it was installed on April 2,1999. Please Come Again Soon! Thanks for stopping by!